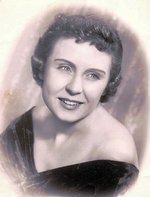 Marilyn Yvonne Stevenson, 80, passed away peacefully on October 6, 2017 surrounded by family. Marilyn was born on November 20, 1936, in Independence, Missouri, where she was a lifetime resident. Marilyn graduated from Northeast High School in 1954. She was a legal secretary for many years and also worked the switchboard at MCI Hospital in Independence prior to her retirement. She loved being a switchboard operator! Marilyn was a member of the Reorganized Church of Jesus Christ of Latter Day Saints (now Community of Christ). Marilyn was very proud that Independence was home to President Harry S Truman, and that she was able to introduce her children to Mr. Truman when they were very young. Marilyn was preceded in death by her parents, Lloyd B. Smith and Dorothy M. Smith Skinner; her sister, Deanna Braden; and her husband, William “Bill” Stevenson. Marilyn is survived by her three children, Mike Thomas (Elaine) of Oak Grove, Missouri; Mike’s twin sister Kathy Minton (Mark) of Dallas, Texas; and Dana Bradley (Chuck) of Independence. Marilyn is survived by five grandchildren – Nathan Thomas (Rebecca), Gary Thomas (Lacey), Amy Winstead (Micah), Beth Minton and Laura Minton; six great grandchildren and two soon-to-be-born great grandchildren; two nieces and a nephew. She is also survived by a brother-in-law, Charles Braden; sisters-in-law Sue Bernard and Edna Mae Freeland; good friend Irma Thomas; and many other relatives and friends. Visitation will be from 6:00-8:00 p.m. on Thursday, October 12, 2017 at Speaks Family Legacy Chapel (Speaks Suburban), 18020 E. 39th St., Independence, MO. The funeral service will be held at 10:00 a.m. on Friday, October 13, at Speaks Suburban. Memorials may be made to Community Services League at 404 N. Noland Rd, Independence, MO 64050.